MonMan provides comprehensive design, selection and development services for large, custom air handling systems. For years, MonMan has been known for selling the best Custom Air Handlers (AHUs) available. The Southeast presents and interesting challenge for HVAC for several reasons: Parts of the region are far enough North that a real attempt at Freecooling can be made. Most zones in this region experience high humidity during the summer months. A rich economic base with companies that need custom air handling units. 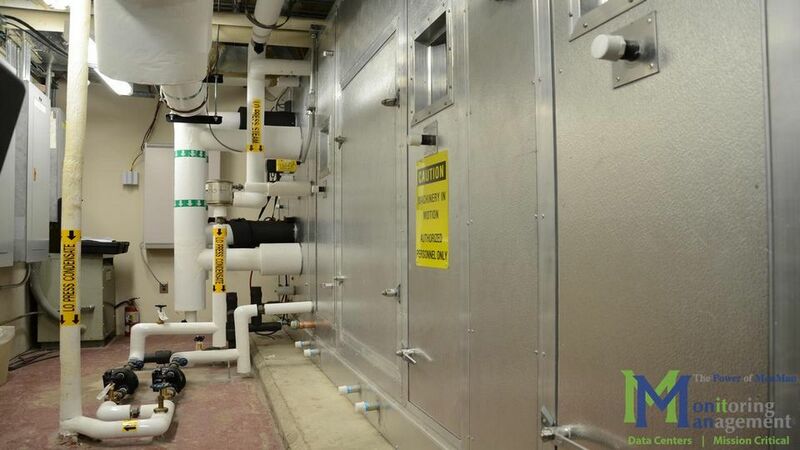 Air leakage can make or break the efficiency of your AHU and HVAC system in general. Air can sneak past joints, seals, gaskets, doors and access portholes. Every percent leakage your legacy air handlers have is directly proportional to dollars thrown to the wind. Our Air Handlers have been tested to over 80" with 1% leakage. This is an extreme case, but every job and every design deserves the tightest air handling units available. You have an older AHU unit at your facility and it's almost time to replace it. It's been running for 20 or 30 years. Most components have been replaced several times over, and it's beginning to cost more to fix it than it would to install a new unit. Custom Air Handlers are a major investment, and you need to make sure you get the best quality and value. It's time to give MonMan a call, and discuss your options. Challenge us. Test us. When you've been around as long as we have, you've probably seen it all. We've seen 50 year old air handlers in the basement. We've replaced AHUs in mezzanine spaces with barely enough room for technicians. We have installed air handlers around columns and over cable & pipe trenches. We bring the best air handling equipment to your facility, and we get you up and running quicker than you thought possible. Faster Than You Can Say "Factory-Split"
Our factory-split, field-assembled, custom air handlers are like nothing you've seen before. They're more than factory-split. They're SiteBilt. The SiteBilt custom air handler technology allows MonMan to accomplish renovation work during weekends and factory shutdowns. In many cases, we can tear out the old unit, fully build, startup and test your new custom air handler over a single weekend. It comes down to precision-engineered components being assembled in place at your facility by some of the most experienced HVAC workers and foreman in the industry. Give MonMan a call or email today, and let's see how we can help you. Read more about SiteBilt air handlers.